Chromium Supplementation for Weight Loss and Diabetes: Should You Bother? 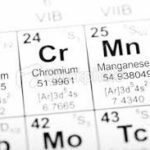 Chromium is one of those minerals that we need in only very small amounts—that is, it is one of the essential “trace elements.” Some are needed in milligram (mg) amounts—like iron and zinc—and others are needed in microgram (mcg) amounts—like selenium and chromium. Chromium has one known function: it is essential for the proper working of insulin, the master metabolic hormone. It was discovered that chromium was essential for mammals in the 1950s by the late Walter Mertz of the USDA and NIH; by the 1970s it was also proven essential for humans. This discovery occurred when patients who were being fed exclusively by intravenous solution (referred to as total parenteral nutrition or TPN) developed high blood sugar and diabetes after some months on these IV solutions. It was hypothesized that these patients might be chromium deficient since the solutions contained none; the hypothesis proved true when small amounts of the element were added to the IVs and completely reversed the diabetes. Since the first report, other cases of chromium deficiency, high blood sugar and diabetes in patients receiving TPN were published in the medical literature. 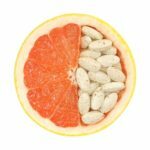 After these reports, physicians and researchers questioned whether or not chromium played a role in adult onset (type 2) diabetes (type 1 diabetes is usually diagnosed in childhood and has a different cause than type 2—the most common type of diabetes and most often associated with obesity ). When researchers tried supplemental chromium over the years, sometimes they had success in helping people with their diabetes, and sometimes they did not. These inconsistent findings made chromium supplementation controversial; further, there had been claims that it helped people lose weight and/or build muscle based on a few small studies. And here also, some studies showed an effect, and some did not. What this means is that if there is insulin resistance present (something that is fairly common in type 2 diabetics) chromium supplementation can help. It is something I recommend to all my patients, since there is no harm form this level of supplementation. People with diabetes should start with at least 600 mcg per day, while those without this disease should start with 200 mcg per day. Jeejeebhoy K N, Chu RC, et. al. Am J Clin Nutr. 1977 Apr;30(4):531-8. Mertz W. J Nutr. 1993 Apr;123(4):626-33. Diets rarely work for weight loss over the long-term; if one does manage to lose weight initially with a “program diet”, as soon as the program stops all the weight is usually quickly regained. It is for this reason that we do not advocate a “diet.” We want our patients to understand about food in its pre-historical and historical contexts in order to have success in achieving initial weight loss as well as sustaining that loss.